A special Record Store Day 2019 release, available in store on the 13th of April. Remaining stock will be available to order online from the 20th. This 40-track, double-disc collection is the only true best-of that fuzz guitar frenzy icon Davie Allan anyone will ever need. 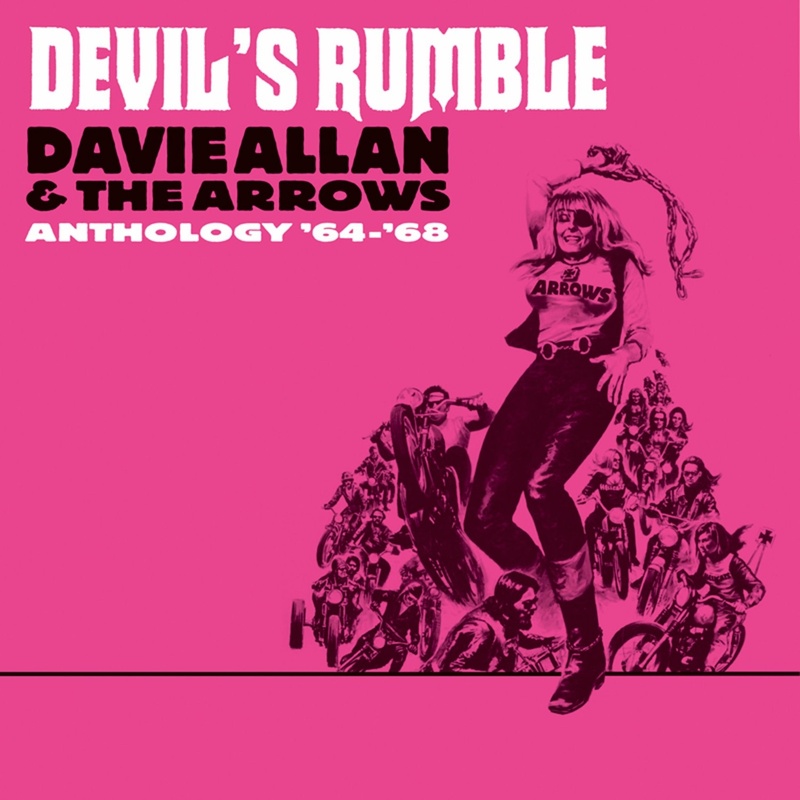 Davie Allan and the Arrows recorded four original albums for Mike Curb’s Tower and Sidewalk labels between 1964-1968 and scored numerous (nearly 20) soundtracks for American International Pictures’ reigning B-movie warlords of the ‘60s during the same period. It included the mother of all biker flicks, The Wild Angels, starring Peter Fonda (pre-Easy Rider) and Nancy Sinatra; it was directed by Roger Corman, who picked Allan based on the strength of the band’s debut album, Apache ‘65 (featuring Billy Strange on rhythm guitar) and early singles. Seven of those album tracks (six of which made up the Arrows’ first few singles) are here along with the four prime cuts from The Wild Angels, making up the first 11 cuts of disc one!